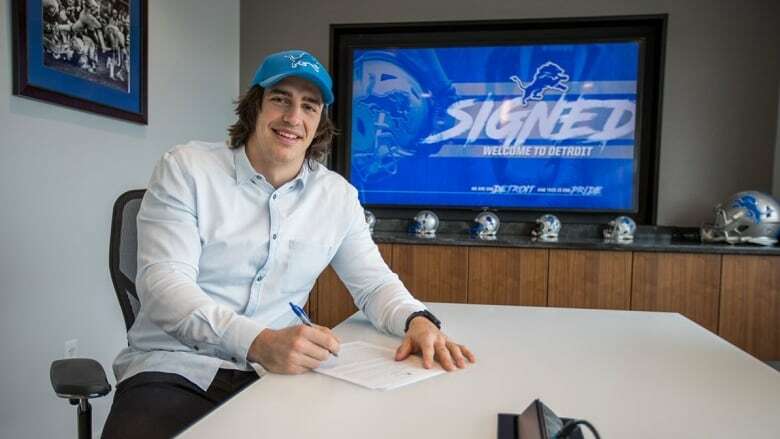 LaSalle's Luke Willson is heading home. The unrestricted free agent signed one-year deal with the Detroit Lions Wednesday. He had tweeted a farewell to the Seattle Seahawks Tuesday night. Luke's father Mike said the family is "thrilled" he's coming back to the area, adding that Luke had a longer-term offer from another team, but chose to sign with Detroit. "The opportunity is there for him to get a lot of playing time and he thinks that in that offence he's got a chance to do well and, they'll want to resign him," he said. The former fifth-round draft pick won a Super Bowl with the Seahawks in 2013. Willson played in 16 games (seven starts) in 2017 and finished with 15 receptions for 153 yards and a career-high four touchdowns. His career totals include 102 receptions for 1,283 yards and 12 touchdowns. "Pete Caroll and John Schiender thank you guys for believing in a Canadian kid from Rice university," he wrote, adding "most importantly thank you to all my brothers and teammates. Sharing the field with you has been an honor." The message was met with dozens of replies from fans who shared favourite moments and photos of Willson. Mike Wilson said his son has always been a Lions fan. "He went out for Halloween dressed as Barry Sanders probably three or four Halloweens in a row," he said.